If you're looking to get behind the wheel of a luxury crossover, look no further than the new INFINITI QX60 near Plainfield at INFINITI of Naperville. From its affordable price points to its luxurious interior seating and features like the folding second and third rows for extra cargo space, this sophisticated vehicle gets praised by industry experts and drivers alike. Browse our inventory of new QX60 models below, then visit our Naperville showroom for a test drive. 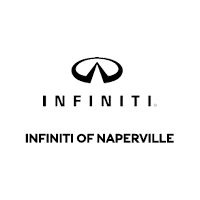 If you're ready to experience a real luxury crossover, test drive the new INFINITI QX60 near Lisle at INFINITI of Naperville. We'll explore the INFINITI QX60 lineup, see the standard and optional interior features, compare it to competitive vehicles like the Acura MDX, and discuss your finance options. Contact us today with any questions or to get the process started. Be sure to browse our current vehicle specials so you can save on your luxury crossover purchase.